SwimZip is the UPF 50+ clothing brand people trust to keep themselves and their children sun safe. They offer swimsuits for children and adults. 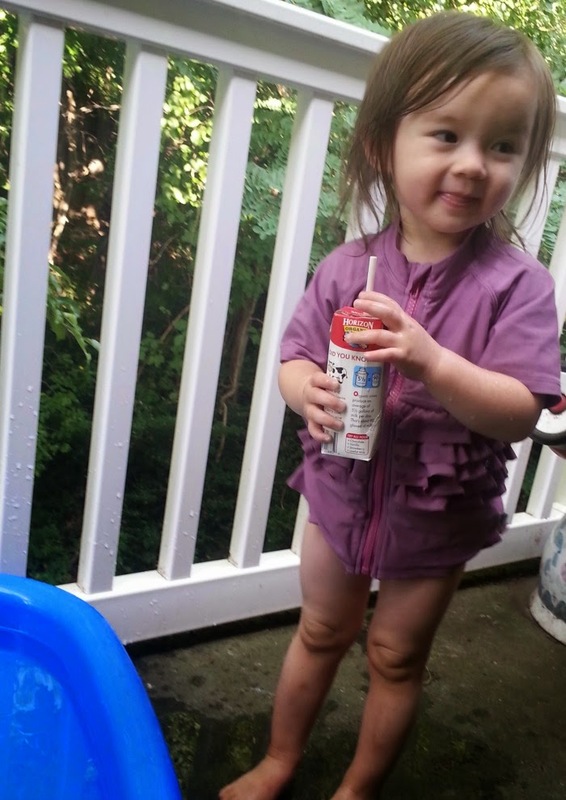 My daughter, Nia, got to try out the Ruffle Me Pretty swimsuit. I loved this because it is cute and sun safe. 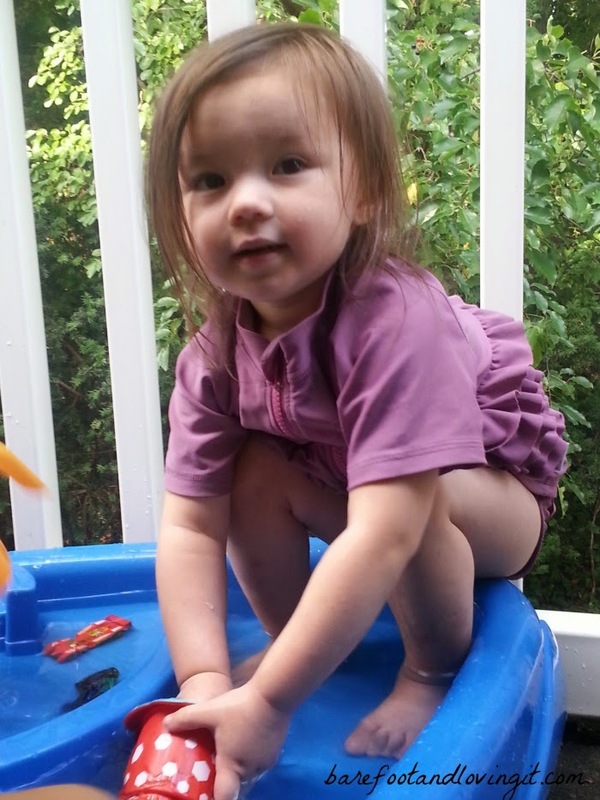 At the beginning of the summer we went to the beach and I put my daughter in a bikini my mom had sent. I thought I lathered her up with sunscreen but that night I realized I missed a spot. I felt horrible. Her top shoulders were red. If she was wearing her SwimZip swimsuit she probably would have been fine. Ruffle Me Pretty is super cute. I love the ruffles. The bottom fit perfectly. The top was a little large but still looked great. 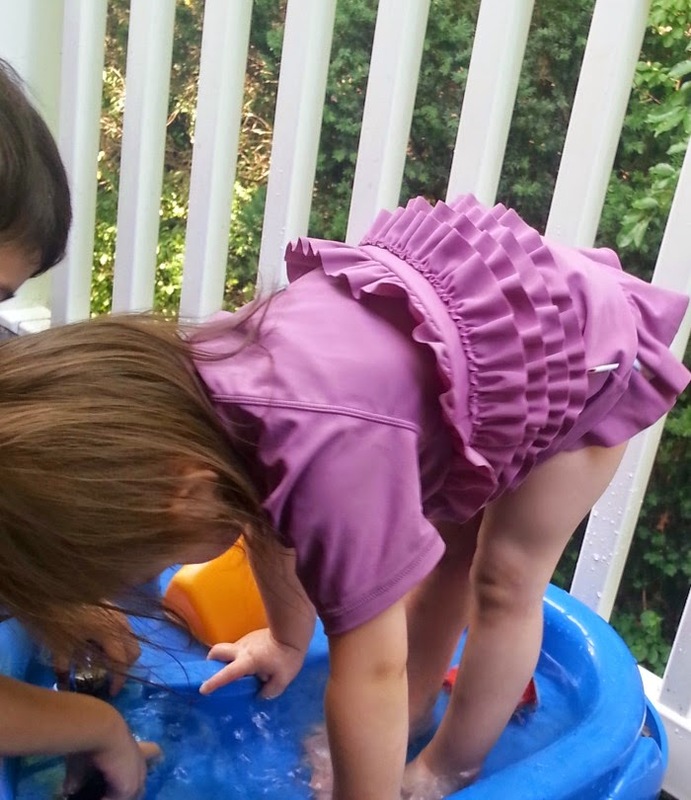 A friend of mine gave us a water table for the kids to use on the patio. I took the legs off of it because Nia kept climbing into it. She does try to unzip her SwimZip top once it gets wet. It's pretty funny to see me chasing her and telling her to keep the top on. Oh the things kids will do. This photo is just to show you the cute ruffled bottom of the SwimZip Swimsuit. I was very happy with the SwimZip and will buy a swimsuit for my son next year. You can outfit the whole family in SwimZip because they have sizes for men and women too. Have you ever seen Shark Tank on TV? SwimZip was featured on the show. I love success stories like this. Follow them on Twitter and Like them on Facebook for sales and contests. What is your favorite thing to do during the summer? I hope you all check them out.